It is amazing to have technology like Google maps street view to see what is the actual environment around and to guide the way. The van moves around with a camera at the top and takes a paranormal 360-degree view of its surrounding. Between Geylang Lorong 14 & 12, there is a street call Talma Road. A man was spotted peddling cigarettes behind a lamp post. Going along the road you will notice that he continuously stared at the van probably because he had no idea what was it and was afraid of getting into trouble. But it often captures the unexpected. 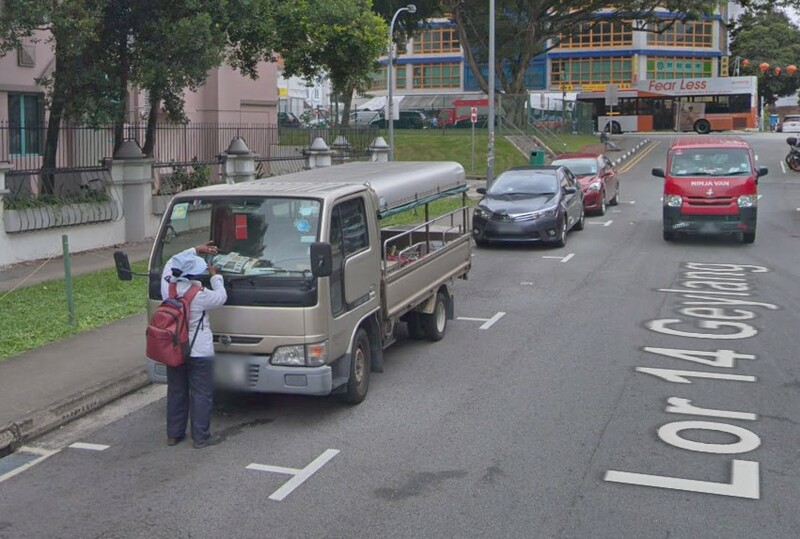 Like a woman taking a photo of a lorry that has an expired parking coupon located at Geylang Lorong 14. Look around and you will see more colors at Geylang. 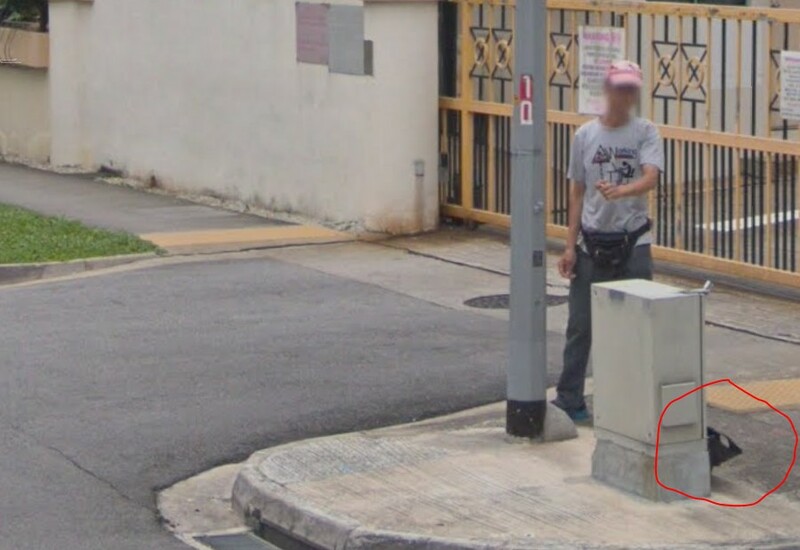 Let us know if you find any odd, scary or funny images around Singapore on Google maps.